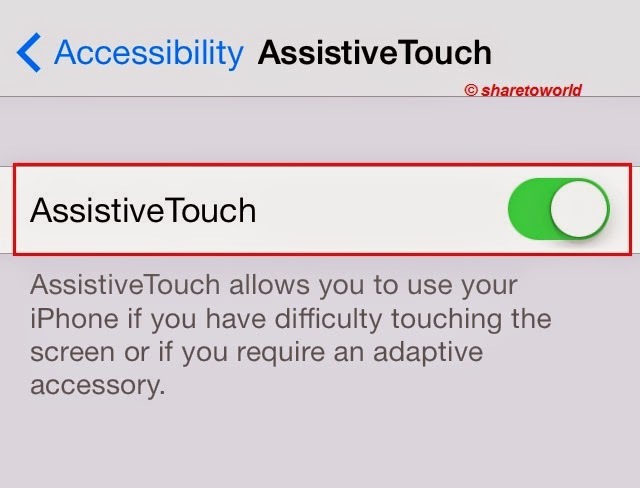 The users probably know how to take a screenshot on their iDevice by pressing the Home button right below your screen and the Sleep/Wake (Power) button at the top at the same time. You will see your screen go white for a brief moment, indicating that the screenshot has been taken. To access the screenshot, open the Photos app and go to your Camera Roll. The last image taken should be your screenshot. 3- Back to Screen you wish to capture. 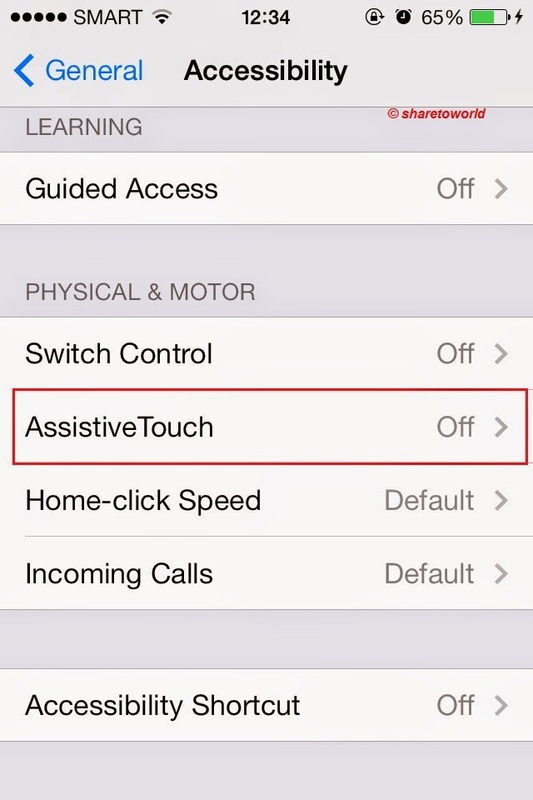 The Assistive Touch menu will automatically be dismissed, and your screenshot will be saved in the Photos app.